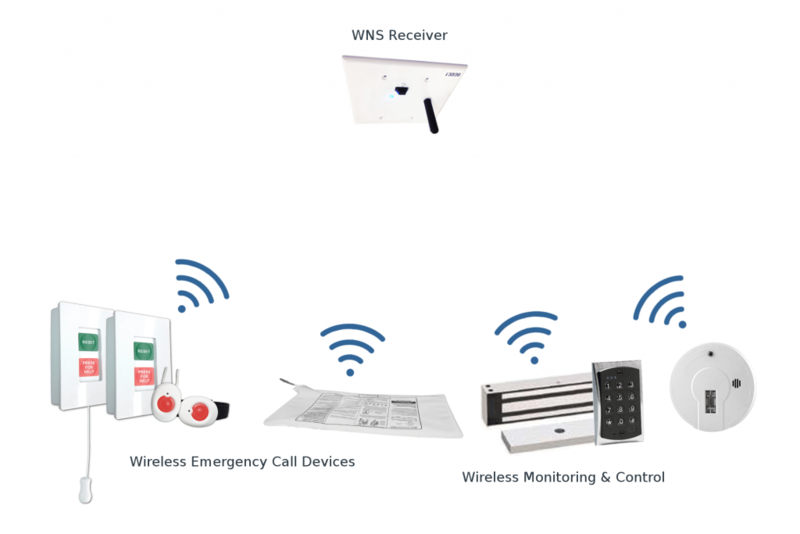 Wireless Emergency Call Systems | Wireless NurseCall Systems, Inc.
Our wireless emergency call systems are the ground floor for monitoring and maintaining patient safety. Our dedicated and redundant receiver network is the backbone for receiving all alarm signals from Wireless NurseCall Systems devices. These devices include but are not limited to wall mounted emergency stations, pull cords, waterproof alarm buttons (pendants), pressure mats, wander control and motion detection sensors. At WNS we take pride in knowing we have designed the most reliable and comprehensive system available on the market. We achieved this by providing ample redundancy for our receiver network, dedicated server and our wireless emergency call systems. In the case of a power failure, our UPS will support the system for an extended period of time. Our receiver network is strategically located throughout a building to ensure that at any given time a signal is detected by multiple receivers. Our Press N’ Pull is designed with a help button as well as a pull cord ensuring a resident has a means of signaling aid during an emergency. 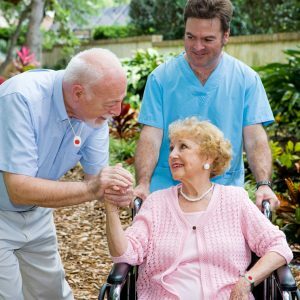 The examples described above are just a few ways we provide unmatched reliability that you, and most importantly, your residents can trust. To learn more about the redundancy and reliability built into our systems please call 480-940-9111 or contact us via our web form. 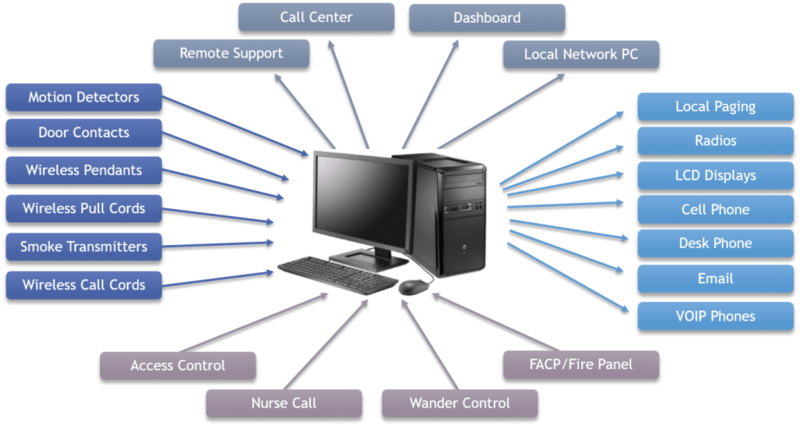 A wireless nurse call system is a collection of wireless devices operating within a basic receiver network installed at a community. Once a device is activated, a signal is transmitted to the receiver network and is then interpreted by the server’s software, which recognizes what device has been activated and what room number or location the device is located. In the case of static devices, that information will not vary. In the case of pendants, our software incorporates an algorithm that will best locate the individual who has activated their pendant. Once this information has been interpreted by the software, a page will be sent to the caregivers alerting them of an alarm and conveying the location and resident information directly to the communities preferred method of communication (Pager, Phone, Radio, etc.). Customized Resident Monitoring Solutions. Every Time. Resident monitoring within senior facilities can be a very complicated issue. Depending on the design of the facility, the needs of the residents and the wants of the staff, WNS’ extensive experience and expertise can assist in a solution that will satisfy everyone concerned. We pride ourselves in reliability and customer service to help assure your residents’ safety. To learn more about the advantages about our customized monitoring systems and access control solutions, call Wireless NurseCall systems today at 480-940-9111 or contact us via our web form. 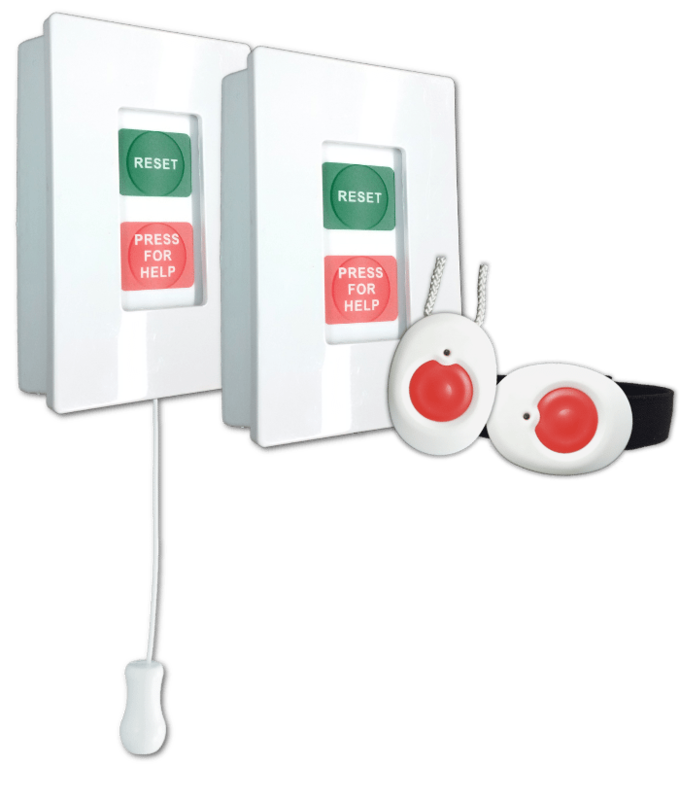 Wireless NurseCall Systems manufactures and services an extensive range of wireless emergency call systems, pull cord and pendant alarms for nursing homes and elder care facilities throughout the United States and Canada.